Why did you decide to sell this posh waterfront palace? Valerio Morabito: I am still debating. It is on the market, but I will only sell if the price is right. VM: American modernism. Alfred Browning Parker first and foremost, and his Bal Harbor Club. He was a true lover of Miami, one of the pupils of Frank Lloyd Wright—a true maverick of environmental design. 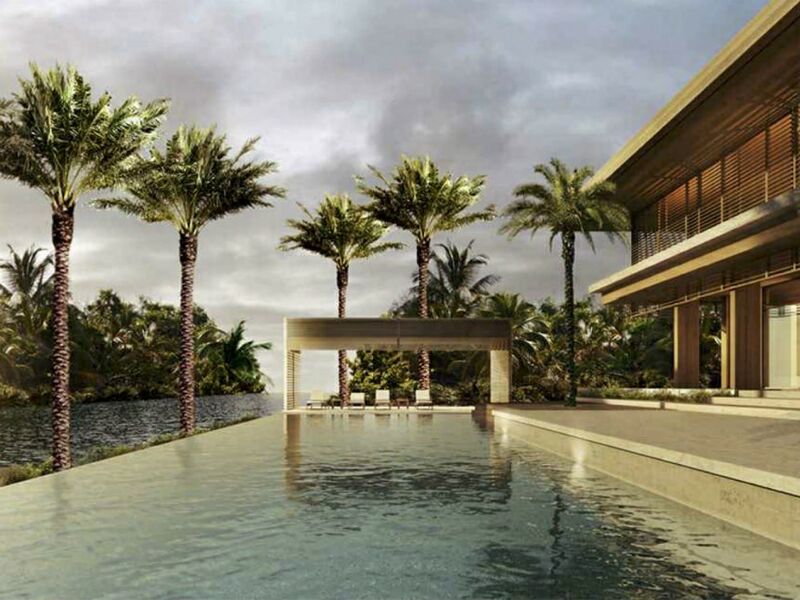 What can local Miami buyers expect from this $26M property? And, in your opinion, what makes this property so special? VM: The house has an incredible scale and presence, and yet feels very balanced, proportionate, and organic. It’s a leap forward from the concrete cubes we often see in Miami, a house built to look and feel great, not just to maximize the number of sellable square footage. Featuring a first floor elevation of 13 feet above sea level, a six-car garage, and teakwood, glass, and stone throughout the entire property, what is your favorite, and most cherished, aspect of the property? VM: It’s an architectural statement. 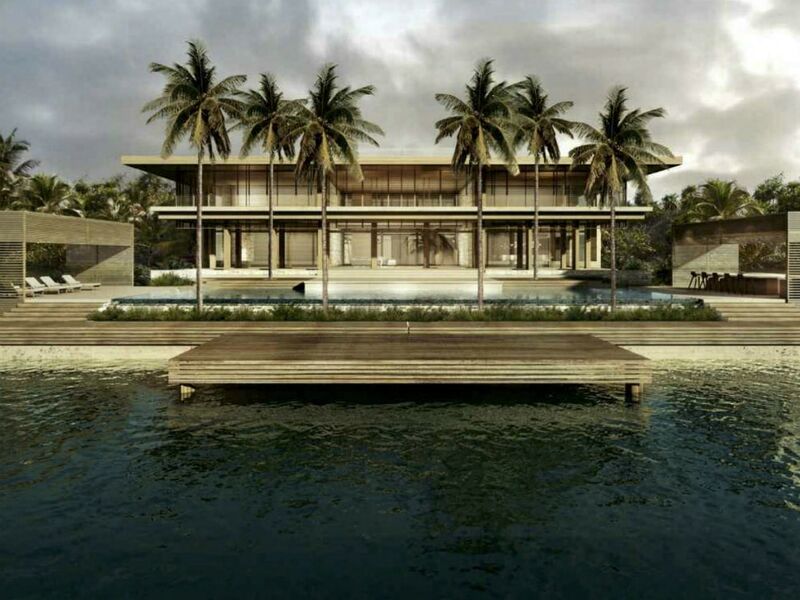 A house designed to blend with the surrounding, the vegetation, and the water. I love the shade from the large overhang and the cross ventilation from the oversized teak windows. What did you have in mind when you decided to build the first floor 13 feet above sea level? VM: The Miami of the future. This city will adapt and thrive, and will be a model for resiliency. This house rises above as Miami will, and is built for the next 100 years. Also, I hate a house entrance that looks like a parking lot. In this property, the cars are hidden underneath, and you have a dry access to the floors above directly from the garage. Mick Duchon: The home is virtually flood proof while featuring a unique design of the garage underneath the property. I envision a future of elevated homes. Mick and Eloy. 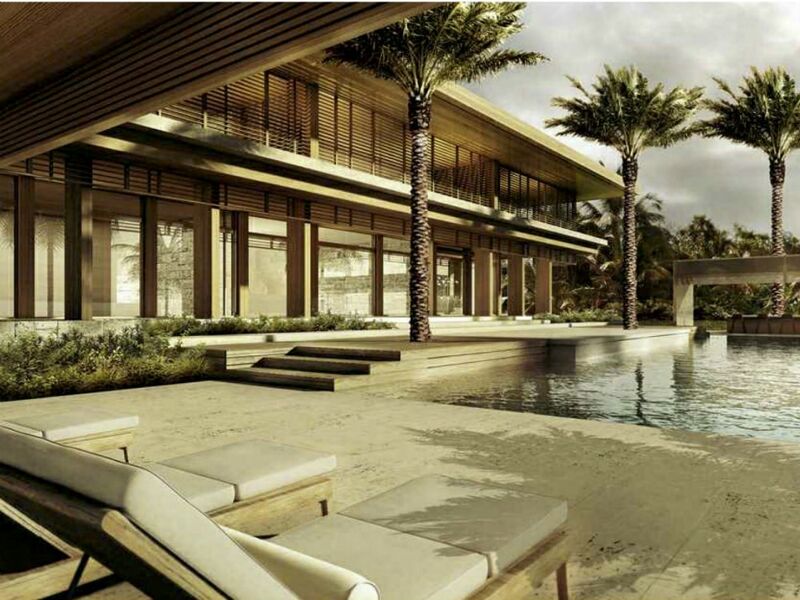 Can you walk our Ocean Drive readers though this exquisite estate? MD: Upon arriving, you see the gatehouse, which is composed of shell reef stonewalls and Burmese teak louvers. Once inside, you walk over a bridge with fountains on either side. Then you reach the main house, which is an all-glass and teak structure surrounded by terraces and cantilevered pavilions. Why is Morabito's property setting the bar for the real estate industry? Eloy Carmenate: Firstly, it’s the first home to respond to its environment and is constructed 13 feet above sea level. 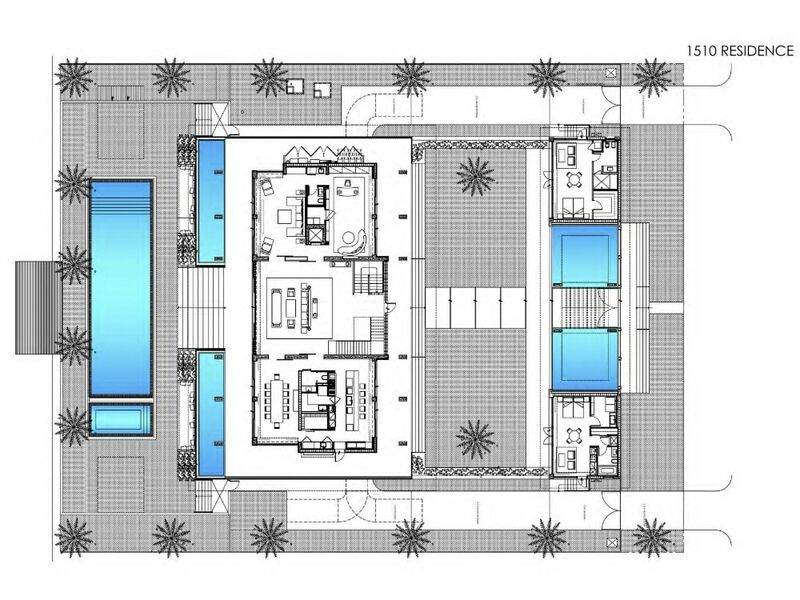 Secondly, from a design standpoint, it is destined to be one of the finest tropical modern homes constructed in Miami Beach due to its minimalist yet warm and approachable scale and design. With six bedrooms, six baths, three powder rooms, a gym, elevator with rooftop access, wine cave, two media rooms, two guest suites, outdoor kitchen, 90-foot pool, is the Canal House one-of-a-kind in Miami? Have you sold other properties like this one recently? EC: We have the privilege of representing many opulent homes, but this house is different in the sense that it echoes early mid-century architect Paul Rudolph’s approach to simplicity. Yet, the home is very complex from an engineering and design standpoint.